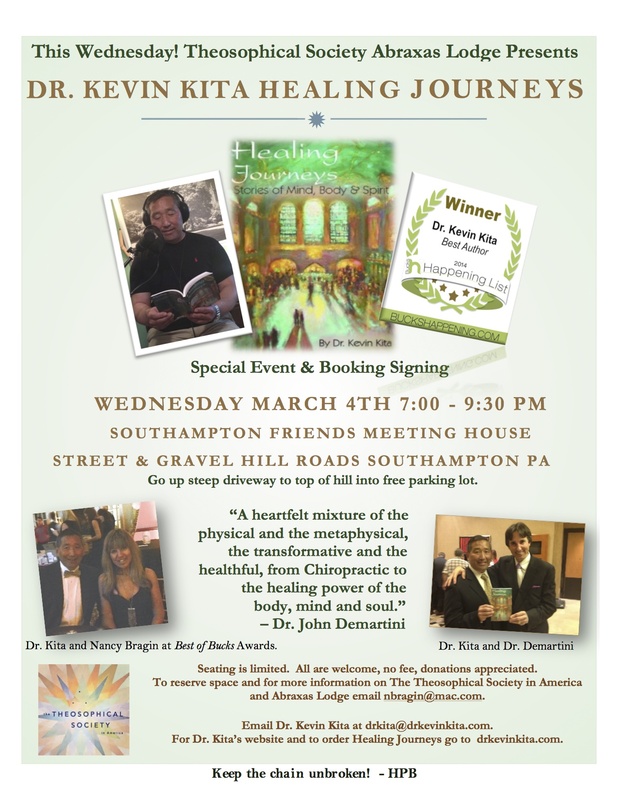 Free Event Wednesday March 4th in Southampton Bucks County PA – Dr. Kevin Kita Healing Journeys | Be Kind. We're all in this together. This entry was posted in Uncategorized and tagged Book Signing Bucks County PA, Dr. Kevin Kita, Southampton Bucks County PA Free Events, Theosophical Society Abraxas Lodge. Bookmark the permalink.